So, you want to find a great deal on your next charter vacation? Sure, you can scour the internet, hope for Black Friday deals or ask friends. But an even better way to find good prices on charter boats is to go to a boat show. Not only do charter companies like The Moorings, Dream Yacht Charter and Sunsail offer incentives at the shows, you’ll also find smaller companies like Horizon, CYOA, Sail Caribe, TMM and others that you may not have known about. Here are a few shows where you’ll find good hunting for your next deal. For the best shopping experience, you may want to spring for the expensive first day (preview) tickets that many shows offer. Although these special admission times can be expensive (upward of $50 at some shows), the docks are less crowded and the exhibitors have more time to talk to you. 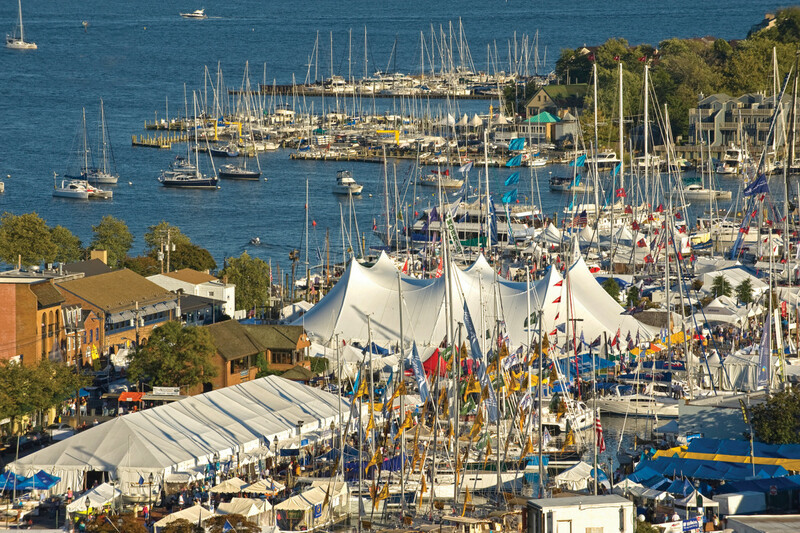 If paying top dollar for boat show admission doesn’t sound tempting, consider going on the last day of the show, when there may be special deals by those companies that haven’t yet met their target revenues. Don’t be afraid to ask for a better deal, which may include things like free use of toys such as kayaks and SUPs, free transfers to/from the airport or a complementary sleep-aboard arrangement on the first or last night. Finally, always be sure to pick up a show directory at the entrance as you come in, since some charter companies may be scattered about throughout the show site. Also be sure to consider alternative accommodations and transportation in some place. Hotel prices during the Miami show, in particular, can be shocking and the taxis nearly non-existent. The need for good shoes is a given, as is a sense of humor and maybe a rum drink.